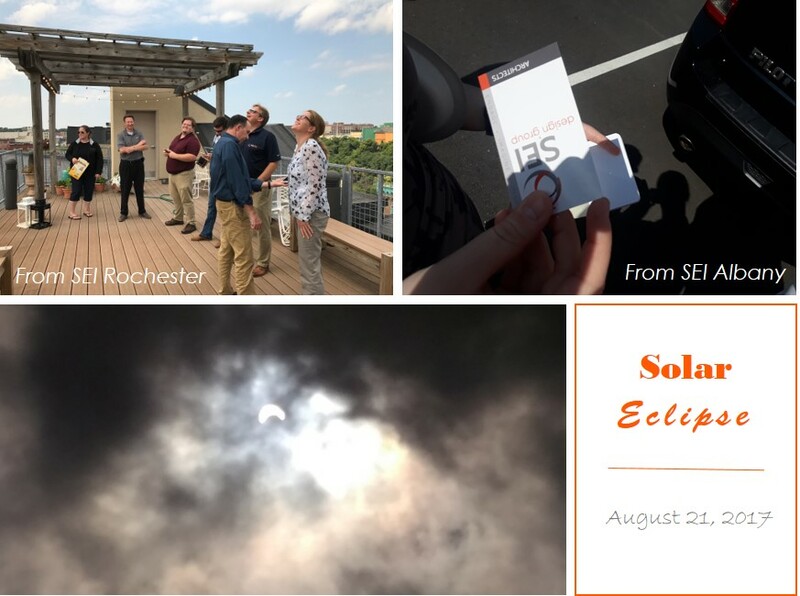 Our offices in Albany, Binghamton, and Rochester all took a few minutes to enjoy the solar eclipse. Designer Don Rettberg took the picture of the eclipse from the roof top of our Rochester office. Thanks Don!